Last week on the program, Darrell Harrison, former fellow of the Black Theology and Leadership Institute at Princeton Theological Seminary, joined us to discuss race (which he says is a misnomer for ethnicity), racism (or “ethnicism” as he calls it) within society and the church, the “white privilege” pejorative, and how Christians should view Martin Luther King Jr. There was a lot to think about! 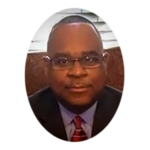 And there’s much more to come this weekend with Darrell Harrison in Part 2 of the interview, as we discuss the controversial issue of slavery reparations (payment of money or granting of benefits to blacks today as restitution for wrongs committed against their ancestors). For example, Southern Baptist Theological Seminary recently issued a Report on Slavery and Racism in the History of the Southern Baptist Theological Seminary, reaffirming a formal apology made in 1995 for the seminary’s “participation in individual and systemic racism” in past eras. This report has generated further calls for reparations. We will also discuss how Christians should view Black Lives Matter and the social justice movement in the church.